Josh, a salaried, professional mentor through the Friends of the Children program, has been William’s friend since he was in kindergarten. When he first met William, his biological mother had substance abuse issues and had not been present since his birth. His father’s whereabouts were unknown. William lived with his aunt and uncle for a short time, where he struggled continuously with behavioral issues. After about a year, William was removed from his aunt’s care and placed back into foster care where he would then experience multiple placements and school changes, which had a profound, noticeable effect on his behavior and school performance. Throughout all of the transition and trauma in William’s life, his friend Josh remained a consistent presence, always locating him and ensuring that he maintained regular weekly outings and school visits. William is now in the third grade, and Josh remains a consistent presence in his life. He has been adopted and now attends a new school – his fourth school since starting kindergarten. Early on, Josh and the adoptive mother formulated a plan to ensure stability and consistency in William’s life as well as continued academic and behavioral progress. William is now actively involved in sports, and his behavior in and out of school continues to show significant improvement. Josh’s consistency, quality and caring investment in William has resulted in a network of diverse support for his social-emotional development and educational success. We are facing many challenges with our foster care system in Tampa Bay. Children—particularly older youth—in foster care are slipping through the cracks and not getting the support they need to move beyond their foster care experience. We are now part of the solution. Friends of the Children—a national network with 14 other locations across the country—has been so successful in Tampa Bay that we are investing in the launch of a new chapter that can now serve more children in foster care in Pasco, Pinellas and Hillsborough counties. Friends of the Children—Tampa Bay selects the most vulnerable children ages four to six from high-poverty schools and the foster care system. Youth are then paired with a long-term, salaried, professional mentor (a friend) who stays with them from kindergarten through graduation – 12 and a half years, no matter what. Eighty-five percent graduate high school, whereas only 55 percent of youth in foster care graduate high school or obtain a GED diploma. Ninety-three percent avoid the juvenile justice system, but only 63 percent of youth in foster care avoid incarceration. Ninety-eight percent avoid early parenting, whereas only 86 percent of youth in foster care avoid early parenting. This model also makes economic sense. 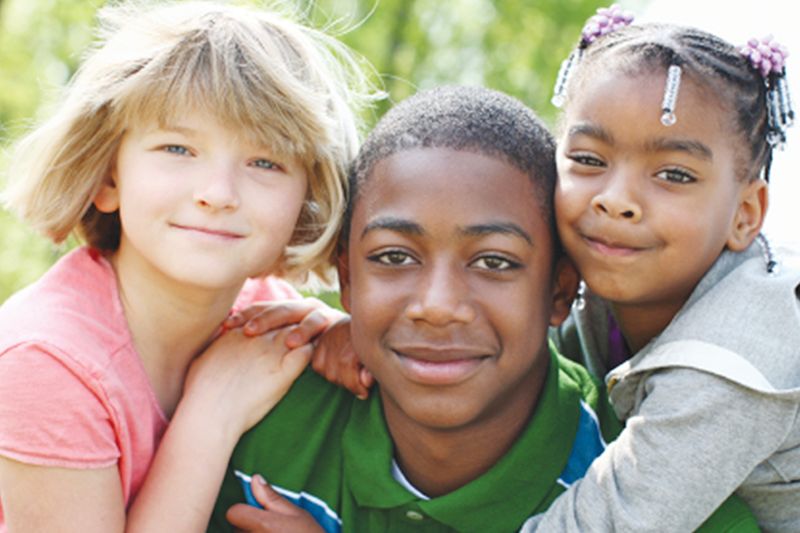 A Harvard Business School Association of Oregon return on investment study found that for every $1 invested in Friends of the Children, the community benefits more than $7 in saved social costs. Helping one child saves the community $900,000. Separation from a parent is considered an adverse childhood experience which causes childhood trauma. The toxic stress they experience can lead to short-term and long-term mental and physical health problems, academic delays and social-emotional development delays that are hard to counteract. As a result, children struggle to gain the social-emotional skills needed to thrive and build positive relationships, let alone do well in school. We empower our youth through social-emotional learning to ensure they are equipped with skills to persist in achieving their goals. We also help them build healthy relationships that will serve them well in school and into adulthood. Moving mentorship out of the volunteer realm is a crucial component to getting the quality, consistency and commitment that children are facing the highest risks need, and it has been remarkably effective with youth in foster care. We also intervene at an early age—and stay for the longhaul—so that we’re able to change a child’s life trajectory, which is much harder to do as they get older. Friends of the Children has already positively impacted the youth we serve in Tampa Bay, as well as their families. From the grandmother who can be a better parent to her grandson because of behavioral improvements, to the mother who was able to keep her seven children together because a Friend helped the family find housing, we open the door to upward social mobility. 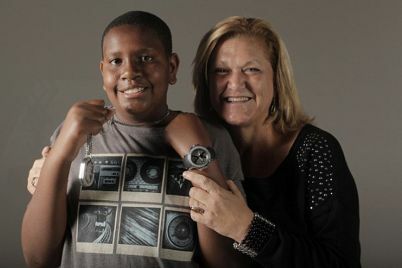 Imagine if we could give every child in the Tampa Bay foster care system a consistent, caring adult who walked alongside them for 12 and a half years, no matter what. It would change the face of our foster care system. Go to friendstampabay.org to learn more and support our work. William’s name has been changed to protect his privacy.